Welcome to Strictly Terriers, your local Boxer breeder and trainer. On this site, you will find helpful information about our Boxer puppies for sale, and our methods for training both puppies and dogs. Our boxer puppies are always beautiful, well tempered, and healthy i.e. we breed happy dogs. Your Boxer puppy will be well mannered, as we regularly play with our dogs to ensure they get the proper stimulation and socialization. 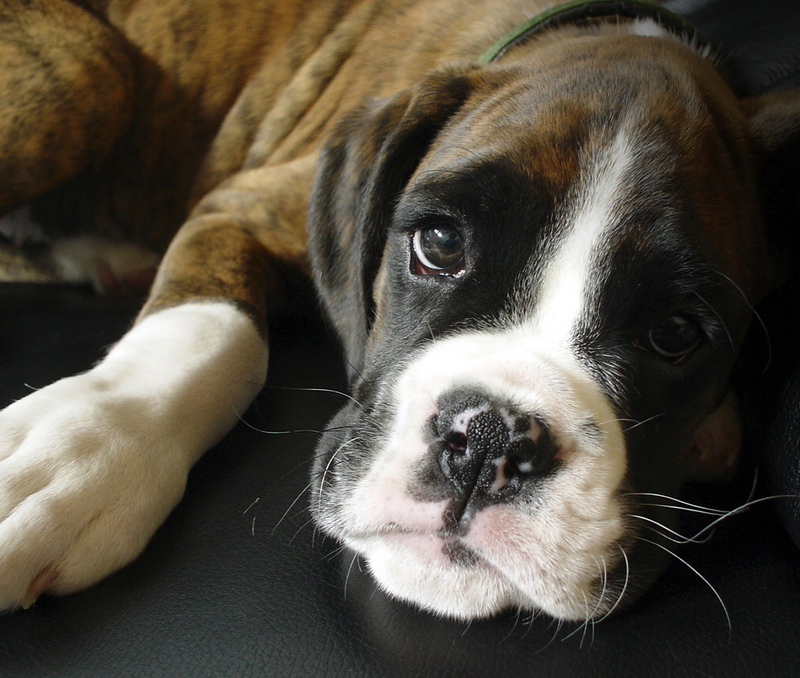 We have 15 years of experience breeding Boxers...therefore, you can be confident you will get a happy and loving dog. For more information on dog training, or to get information on puppies or upcoming litters, please call Mike Haigh at (213) 820-3647 or simply fill in your name and email address in the form below. Dogs can be extremely rewarding, if trained properly. Otherwise they can be a stressful burden. This burden can include chewing your personal items, barking incessantly or aggression towards people or dogs. These behaviors are all in a dog's nature, and is perfectly normal. These behaviors are simply just occurring at the wrong place or time, and need to be controlled...we will work with your dog one-on-one to help solve these problems. The essence of training your dog is communication. Therefore, not only will we train your dog, but we will work with you as well on the proper techniques that will quickly teach your dog or puppy obedience. Over the 15 years we have been training and breeding dogs, we have trained a wide variety of breeds, and will train and work with any breed...no matter how large or small. Let us help relieve any frustration or stress involved with trying to train your puppy or dog. Two weeks with us will expedite the training process...you won't have to worry about your dog misbehaving any more. For availability, or for more information on training your puppy or dog, please give us a call anytime at (213) 820-3647, we would be happy to speak with you, and answer any questions that you may have!